New Year, New Me! What is your 2015 resolution? For me this year I wish to improve my overall well-being and committed to healthier lifestyle. As a matter of fact when age is catching up, my metabolism will slow down, skin will lost its firmness and signs of aging are showing up. That is a nightmare! I need to do something. Well, here I am trying the new La Colline Youth Elixir Facial at Phillip Wain, Starhill Gallery. The main skin concerns due to skin aging are sagging, wrinkles, dry and sensitive skin, uneven skin tone, roughness and dull skin. 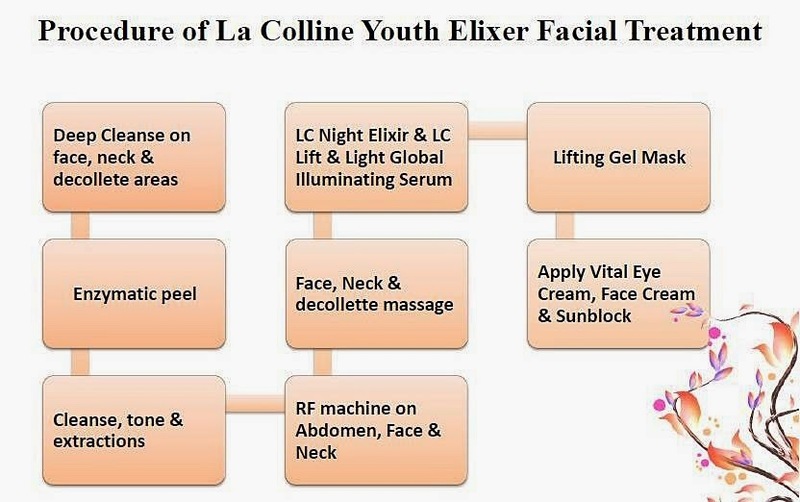 The La Colline Youth Elixir Facial Treatment combined the element of wellness and anti-aging is for those who have these skin concerns. When I reached Phillip Wain I was greeted and lead to the consultation room to fill-up the registration form, run through a skin check and brief introduction about the treatment. Then I headed to the changing room to change into the kimono and slippers. The facilities, services and privacy at Phillip Wain are in tip top conditions. I like the less crowded and exclusive fitness and beauty center for women only. I will start to attend their fitness classes as well as use their club facilities. Let’s start the facial pampering session, basically La Colline Youth Elixir facial treatment is not only target for face it also care for our wellness using the latest RF Technology innovative machine, paired with La Colline Lift & Light Global Illuminating Serum and La Colline Cellular Night Elixir to achieve your desire firmer, radiant and younger complexion. The whole treatment process is about 90 minutes. The combination of innovative technology, effective products of La Colline and also the skillful therapist really put me into totally relaxed mode during the whole facial treatment. I think I fall asleep and the massage was really good. During the facial, the therapist used the RF gently massage my tummy in circular motion, I can feel the slightly warm sensation and it was comfortable. This helps improve the blood circulation, oxygenation, keep our uterus healthy and hormones secretion balance. The Magnetic RF also helps to stimulate fibroblasts to increase our collagen production. Overall, I really felt pampered during the facial treatment and I can see the improvements on my skin and body. Immediately after the facial I can see that my skin is glowing and my cheek firmer. The dry lines underneath my eyes and laugh lines are less visible. 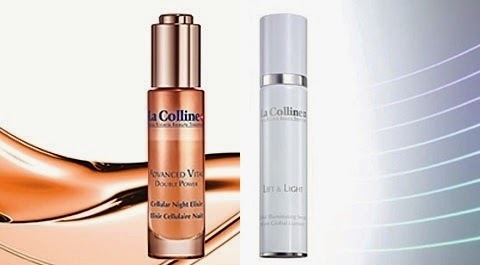 The La Colline skincare is one of the recommended products for anti-aging. Great for dehydrated skin, not oily or sticky my skin feels comfortable after using it and effective. Plus I felt that my tummy is less bloated maybe because it warmed up.